A win for Marmelo would have completed a dream run for jockey Hugh Bowman, who has enjoyed a marvellous ride aboard superstar mare and four-time Cox Plate winner, Winx. But it wasn’t to be, as Marmelo was swallowed up with the finishing post in sight. 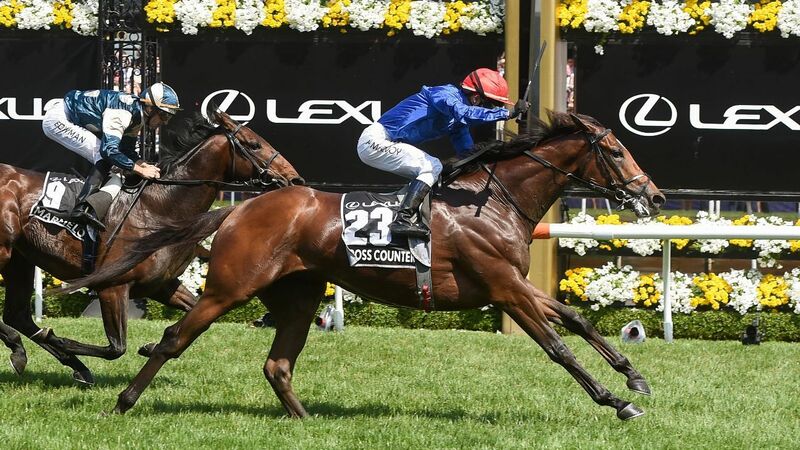 Cross Counter’s Melbourne Cup victory is the first by an English horse while it also ended the Godolphin stable and owner Sheikh Mohammed bin Rashid Al Maktoum’s long quest to win the “race that stops a nation”. Appleby was full of praise for McEvoy’s ride. McEvoy paid tribute to the Godolphin team, the South Australian putting an exclamation mark on an already superb spring after he had piloted Redzel to victory in The Everest, the world’s richest race on turf, last month. “They [Godolphin] have been striving to win this race for a long time,” McEvoy said. “As I said to my lovely wife, each year, I said I know they have got to win it one year and I’ve got to be in their camp and it gives me a great feel to do it for Charlie Appleby and his team. “Charlie and myself used to travel to Doncaster and Chester and all of the tracks up north in England, back when I was over there riding, and all of those miles meant this, winning the Melbourne Cup. Third-place finisher, Prince of Arran, had won the Lexus Stakes on Derby Day to secure its place in the Melbourne Cup, leaving trainer Charlie Fellowes agonisingly close to a Melbourne Cup Carnival double inside four days. The race was tinged with sadness however with The Cliffsofmoher breaking down towards the end of the opening straight. It was later revealed the horse had suffered a broken right shoulder and couldn’t be saved. Cross Counter saluted at the fixed odds price of $9 with tab.com.au, while one lucky punter enjoyed a $[Aus] 500,000 windfall having placed a $50,000 wager at $10 on Monday.